For all that trivia and testing techniques that I know about the SAT, I don’t much like the test itself. According to a recent study by the American Educational Research Association, there is a clear relationship between economic privilege and standardized testing performance. Other critics point out that doing well on the test is much more influenced by who has the chance to hire SAT tutors than in academic ability. When the SAT-optional movement picked up momentum a few years ago, it seemed that there was an answer to all these problems. Students seemed to have an opportunity to focus their energies on more representative and fair standards for admissions, with the testing process treated as an option than a mandate. FairTest.org lists over nine hundred schools that are now test-optional is some form, more than a quarter of all American universities. 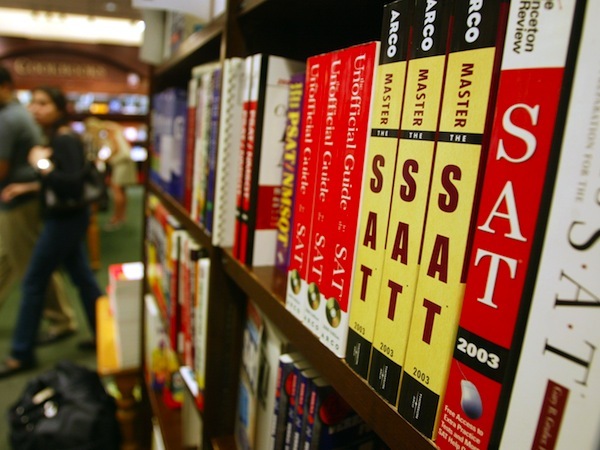 Now students with middling SAT scores can instead take a range of Subject Tests and send scores in these specific areas, rather than the SAT I. This way, students with lower Math scores can still show a strength in foreign language, history, or science. Likewise, literature enthusiasts can flaunt a set of test results that reveal nothing about their weakness in trigonometry. It seems to be a win-win situation. Unfortunately, all of this will still require a high degree of strategizing about which tests to take and when, leading to higher test-related costs. This typically puts students from more advantaged backgrounds in a better position and gives them a boost in the standardized testing arena. What motivates the top liberal arts colleges in our nation to go test-optional? While they cite a desire to emphasize personal qualities, the Test-Optional policy also seems to be working towards the admissions offices’best interests. First, schools that have gone test-optional in recent years have also seen a dramatic increase in applicants, and as a result, plunging acceptance rates, as the New York Times reports. By attracting a larger pool of applicants, it allows the school to be more selective about which students to accept based on the perceived needs of the school at the time—for example, more athletes or under-represented minorities—while rejecting larger pools of applicants. Second, a test-optional policy raises these schools’academic profile, making them look more selective. When average standardized test scores for these colleges are reported, their statistics are inevitably higher because only students who perform in the highest percentile will choose to report their scores. This increased image of selectivity in test-optional colleges may be harmful for students thinking about applying. Not only do prospective students feel discouraged by the colleges’higher-than-expected SAT averages, but the policy also reduces the chances of gaining admission to the school due to higher numbers of applicants. For students placing their hopes in the test-optional policy, they may be putting their resources in the wrong place. Test-Optional does not equate “easier”in the application process and it is important to first carefully examine each university’s specific admissions requirements and disclaimers before choosing to apply.